I cannot stress to everyone enough how important it is that you spread this message to everyone you know and everyone they know. There should be a national Autism Wandering Prevention campaign but for now this is all we’ve got, word of mouth, so let’s all join together and spread it far and wide! Sharing this information could make all the difference for many children and their families. 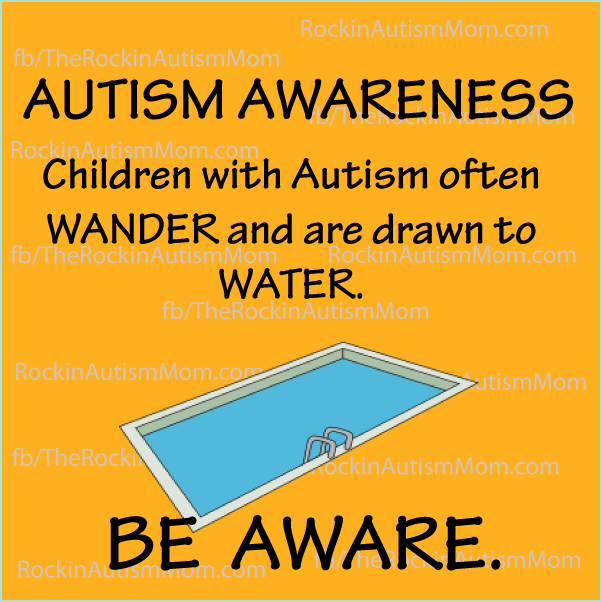 I am writing this on the heals of yet another wandering/water story in the autism community that came to a tragic end on Wednesday morning. Little nine year old Mikaela Renee Lynch was last seen by her family jumping on their trampoline in the backyard of the family’s vacation home in Clearlake California. She was later found dead Wednesday in a creek close to her home after going missing in Lake County. 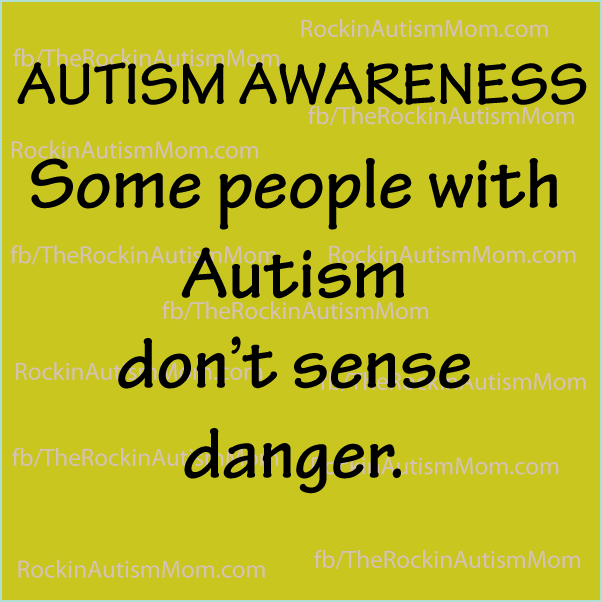 Communities need to be aware that children with Autism often have NO sense of danger. There have been several kids with asd in the past who have met a tragic fate due to water, running into traffic or other dangerous areas, and other things so horrible you couldn’t even imagine it. This is a national emergency and should be treated as such.This could be anybody’s baby! I urge you to contact your state representatives and tell them to take action for Autism Wandering NOW! * 5-19 Since writing this yet another angel was stolen from us due to a wandering/drowning incident. Little Owen Black was found dead in the water in Perdido Key, Fla, according to the Pensacola News Journal. He was found about half-a-mile from where he went missing where his family was vacationing. And yet another child..The doctors worked on little Drew for two hours but were unable to bring him back. May your sweet souls rest in Peace Owen, Mikaela, and Drew.